Yes, you pay for the privilege of helping others, but it’s not necessarily all work and no play, and benefits accrue to the travelers as well. Volunteer vacations are a great way to immerse yourself in a local culture and perhaps pick up some new language skills as well. And sightseeing forays or recreational outings are often part of the package. Projects Abroad volunteer teaches reading in Fiji. Photo from Projects Abroad. Like many trends in the travel industry, baby boomers are on the cutting edge of voluntourism not just because they want to give something back to the world, but also because many have more time and the financial wherewithal to make it happen. When searching for a volunteer tourism company, keep in mind that there are differences in approach. As an avid traveler, I like the ones that offer a reasonable balance between working and sightseeing; you may want to tip the balance in favor of one or the other. There’s no dearth of choices. Hundreds of companies and agencies — both for-profit and non-profits — now offer volunteer vacations, so it’s good to shop around a bit for your ideal fit. After all, you’re paying for it. San Diego-based Discover Corps has been arranging volunteer vacations since 2004. 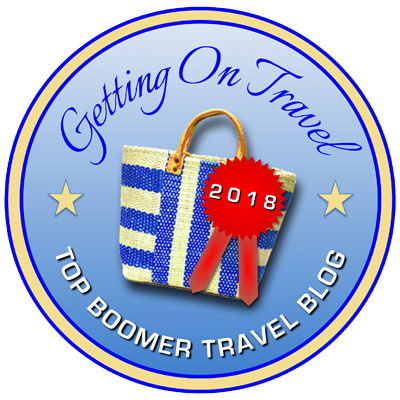 Most of their trips last either one or two weeks and include a maximum of 12 travelers, allowing for an “intimate, grassroots experience.” During most of the year, the average ages of participants range from 45 to 65, right in much of the baby boomer wheelhouse. Volunteering can also mean helping kids learn basketball. Photo from Discover Corps. In summer, special “Family Friendly” dates draw families with children as young as ten. These could provide an excellent opportunity for meaningful multi-generational travel including grandparents and their grandchildren. Discover Corps relies on local communities — primarily in Asia, Africa, and Latin America — to request assistance on needed projects in which volunteers can make a meaningful impact within a week or two. Once the project is approved, the agency’s local staff goes to work, planning everything in advance and ensuring that the voluntourists will have the support they need in a safe environment. I last wrote about Projects Abroad back in 2013 when they were putting out an urgent call for volunteers to help clean up in the wake of a devastating typhoon that struck the Philippines. Most Projects Abroad trips, though, involve activities such as teaching, building, and care-giving, though they could include other fields such as medicine, sports, or journalism. Volunteers get to choose the field they want to participate in. No prior experience is necessary, just a willingness to devote at least two weeks to helping out where it’s needed. A Projects Abroad volunteer works with Mongolian nomads on a community project. Photo from Projects Abroad. Since 1992, Projects Abroad volunteers have put in more than ten million service hours in a variety of destinations in Asia, Africa, Central and South America, Eastern Europe and the Pacific They are housed with host families in safe and secure environments, and, like Discover Corps, they have the support of local staff while abroad. With a motto of “help, learn, explore,” Projects Abroad offers a full range of pre-departure advice and assistance, then will pick you up at the airport when you arrive at your destination, take you to your host family, and offer the help you need on site to adapt to a new culture and fulfill your chosen tasks. To check out more voluntourism companies and read user reviews, GoAbroad.com or GoOverseas.com are excellent resources. I also recommend having a look at StrideTravel.com, whose comprehensive worldwide tour listings include specific voluntourism tours and trips offered by Discover Corps and other companies.